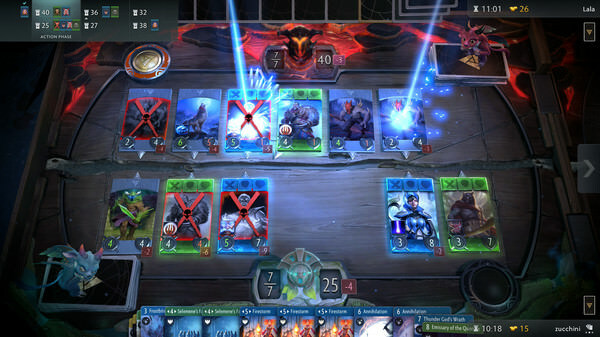 A collaboration of legendary card game designer Richard Garﬁeld and computer game and technology maker Valve (Dota 2, Steam), Artifact is designed to give Trading Card Game (TCG) enthusiasts the deepest gameplay and highest ﬁdelity experience ever in a fantasy card game. A collaboration of legendary card game designer Richard Garﬁeld and computer game and technology maker Valve (Dota 2, Steam), Artifact is designed to give Trading Card Game (TCG) enthusiasts the deepest gameplay and highest ﬁdelity experience ever in a fantasy card game. Valve's Artifact Card Game Coming November 28th! Since Valve talked about launching a new card game and that it wouldn't be free to play i've wondered how much it would be? Not only has Valve dropped the Artifact launch date of November 28th but also more information on how much Artifact will cost. You can buy two starting decks of 54 cards + 10 boosters for $20. Looks like each booster contains 12 cards and each booster costs $2. The base Artifact set will have about 280 cards so it would take a bit to get each card by opening packs but the good news is you can buy the rest of the cards straight up on the Steam store from other players selling them. Looks like Valve is implementing the same model you can use to... Read All Since Valve talked about launching a new card game and that it wouldn't be free to play i've wondered how much it would be? Not only has Valve dropped the Artifact launch date of November 28th but also more information on how much Artifact will cost. You can buy two starting decks of 54 cards + 10 boosters for $20. Looks like each booster contains 12 cards and each booster costs $2. The base Artifact set will have about 280 cards so it would take a bit to get each card by opening packs but the good news is you can buy the rest of the cards straight up on the Steam store from other players selling them. Looks like Valve is implementing the same model you can use to play Magic the Gathering except that the game is digital and you get way more cards per booster pack. Anything Valve does is super popular i'm just wondering how keen gamers are to a card game that costs actual money to play and has no free to play element? Are you going to get the Artifact $20 starter pack November 28th? Gabe Newell gave a presentation at the Valve offices about their upcoming game Artifact - The Dota Card Game. The big news isn't that Artifact is coming but that it seems Valve is focusing more on shipping games. "Artifact is the first of several games that are going to be coming from us. So that's sort of good news. Hooray! Valve's going to start shipping games again." It seems Valve has been focused on hardware in Steam VR, the Steam Controller and Steam itself which has taken focus away from making games which seems to now be coming back. "The positive thing about the Vive is, in addition to making sure that nobody created an iOS closed platform for it, was also that... Read All Gabe Newell gave a presentation at the Valve offices about their upcoming game Artifact - The Dota Card Game. The big news isn't that Artifact is coming but that it seems Valve is focusing more on shipping games. "The positive thing about the Vive is, in addition to making sure that nobody created an iOS closed platform for it, was also that it gave us the opportunity to develop our in-house expertise in hardware design. Five years ago, we didn't have electrical engineers and people who know how to do robots. Now there's pretty much no project in the hardware space that we wouldn't be comfortable taking on. We can design chips if we need to, we can do industrial design, and so on. So that added to that." "We've always been a little bit jealous of companies like Nintendo," Newell said. "When Miyamoto is sitting down and thinking about the next version of Zelda or Mario, he's thinking what is the controller going to look like, what sort of graphics and other capabilities. He can introduce new capabilities like motion input because he controls both of those things. And he can make the hardware look as good as possible because he's designing the software at the same time that's really going to take advantage of it. So that is something we've been jealous of, and that's something that you'll see us taking advantage of subsequently." Seems like Valve is setup to drop a few games and i'm really interested to see what they come up with. Not too interested in VR games but if they are great, who knows? The artifact video was terrible. It was a teaser though. I don't think they've released much else beyond it. I am tired of teasers that don't show anything. Hahahaha, yeah. That's maybe annoying. I'm tired of the fact my car doesn't yet fly. WHY HONDA WHY IT'S WELL BEYOND WHAT BACK THE THE FUTURE 2 PROMISED US! Updated the post embed to a recording of the talk Gabe gave about Artifact. Apparently it won't be free to play and you can sell your cards on the marketplace. Interesting stuff and he said the game would be out this year. Valve's Next Game: Artifact - The Dota Card Game Will Launch in 2018! 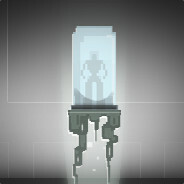 It's a special time when Valve talks about a new game coming out but this one i've been speculating about for months. Digital Card games are the new hotness seen through the massive success of Hearthstone, Magic Online, Faeria, The Witcher Card Game, Elder Scrolls Legends and more and I've thought that Valve would be interested in getting in on it. Looks like they were thinking the same thing because in 2018 Artifact - The Dota Card Game will launch. So far all we've got is a very short trailer that only shows off the games four color logo that may be a tip to the different colored cards in Artifact? I guess time will tell what kind of digital card game it is but so... Read All It's a special time when Valve talks about a new game coming out but this one i've been speculating about for months. Digital Card games are the new hotness seen through the massive success of Hearthstone, Magic Online, Faeria, The Witcher Card Game, Elder Scrolls Legends and more and I've thought that Valve would be interested in getting in on it. Looks like they were thinking the same thing because in 2018 Artifact - The Dota Card Game will launch. So far all we've got is a very short trailer that only shows off the games four color logo that may be a tip to the different colored cards in Artifact? I guess time will tell what kind of digital card game it is but so far all the information about the game Valve is releasing on the Artifact Twitter page. I imagine the game will be free to play with packs you can open and a ton of loot chests with cosmetic card backs and more. 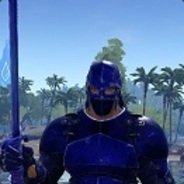 I am curious if there will be some shared loot with Dota 2 though? Also wondering how different Artifact will be from other existing digital card games on the market or if Valve will do something different? Will there be a VR component to Artifact? Are you interested in Dota digital card game from Valve? So many questions that will be answered as time marches closer to the 2018 release date. "The digital card game will be out in 2018. It’ll feature lanes, use characters like Bounty Hunter, and have cards like barracks that will push waves of minions down each player’s avenue of attack. It’ll be a card game version of Dota 2, essentially." On the one hand: neat. On the other, I kinda wish the first new Valve game in years was something else. I'll still play it though! > I'll still play it though! Yeah, i'll try it. Not sure how much i'll actually play of it though. I bet Dota fans will love it. Wouldn't a better game tile be "Bandwagon"? Easy money for them, I'm sure.